An increasing number of people are moving into urban environments and away from traditional agriculture. As a consequence, those who have a mind for self-sufficiency can find themselves falling short. Storable foods are of course an important part of every emergency prepper's pantry, but storable foods are not a sound long-term solution that contain optimal nutrition. Nothing can beat growing your own fresh fruits, vegetables, herbs, and flowers. But it is quite a challenge for those with limited space; not everyone can afford acres of land to become a full-fledged farmer. Then, of course, are the climate considerations that inhibit year-round growing in most places across the planet. However, several high-tech solutions are becoming available for city dwellers, or those who have a less-than-green thumb. As food prices surge due to climatological and economic factors, there never has been a better time to find ways of becoming self-sufficient at a low cost. It's a movement toward becoming the ultimate locavore. The following inventions offer an exciting way to have fresh produce year-round ... right in your own kitchen, while also presenting a potential reduction in overall cost. 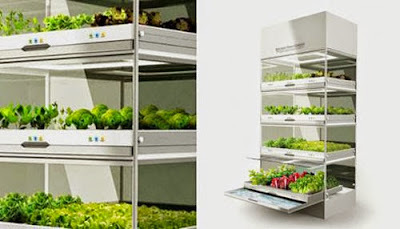 This is a hydroponic system that is currently in use both professionally and in personal homes. One model, as seen in the short promo below, is roughly the same size as a dishwasher and is set up in a similar manner, according to the site's design specs. By setting the perfect level of humidity and temperature, it's as simple as adding a 100% organic food solution to be able to grow a wide range of pesticide and chemical free produce in your indoor garden. Visit the site here. Using aeroponics, GrowCubes offer efficient indoor growing for a wide variety of fruits and vegetables, using 95 percent less water, with an added built-in resistance to diseases and pests. 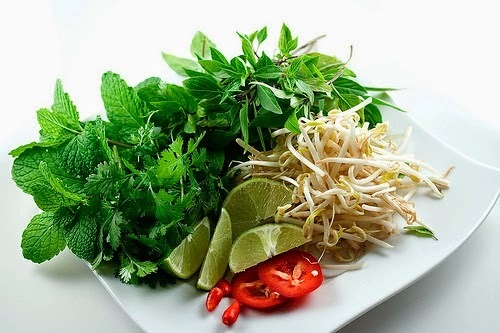 A software program underpins the system, offering a detailed Internet-connected analysis and customization platform to obtain and fulfill the optimal level of nutrients and maintenance. A coming Kickstarter program will focus on bringing this system to market later in the year. This is a another concept that is heavily invested in the ideas surrounding the Internet of Farming. The Click and Grow system is actually an expandable series of "smart pots" that can grow produce, as well as flowers. It begins by providing soil that remains in proper nutrient and pH balance throughout the growth of the plant. As they point out, the constant watering in traditional potted plants actually leaches away nutrients, so the addition of proper water management increases efficiency and production. This demo shows the process. This is a concept being developed by Hyundai. It is roughly the size of a refrigerator and employs a similar method of hydroponic growing as seen in the Urban Cultivator. It controls the amount of light, nutrient supply and water to create the optimal efficiency for growing. The prototype won the 2010 Fast Company Idea Award and also doubles as a natural air purifier. While still only a concept, it is exciting to see a company with the resources of Hyundai working on this technology. While the four items above appeal to modern sensibilities, some of us still would like to retain a bit of the natural even if we can't get our hands dirty on a traditional farm. The UrbGarden is designed to be a vertical herb garden with an integrated worm farm for easy composting. The system produces a natural fertilizer which is then fed back through a drip system. Its open-window design offers an element of harvesting, as the grow trays are removed and re-potted as needed. It is worth mentioning that in a grid-down situation, the four "high-tech solutions" offered here will become virtually useless as they rely on a power source, unless you of course have solar. And none of these systems should be seen as direct replacements for developing a solid relationship with your local farmer, farmers market, or development of community gardens. However, these solutions do enable people to get away from commercial food and the toxic packaging that its often wrapped in, while making the act of farming as easy and hassle free for as many people as possible.